Finally, the rain has stopped and now we’re under a heat advisory for the weekend. How is it by you? I hope you are enjoying your summer. 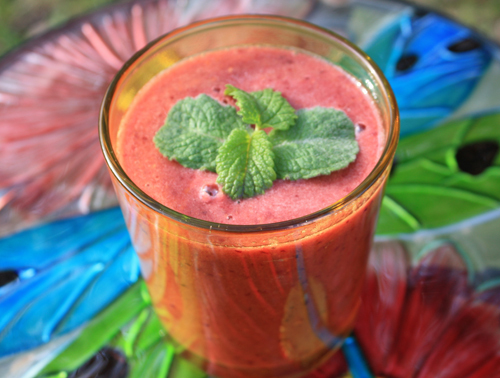 I just wanted to send a quick note letting you know about 2 new specials I am running. The first is a boxed set called Stolen Brides. I’ve chosen 5 books from some of my series that have stolen brides in them. This set has a little of everything from a Viking to medieval/Scottish warriors, a lady pirate, Rapunzel trapped in a tower, and even a bonus book including a black jack dealer who wakes up married to the wrong twin! Get your copy of Stolen Hearts for only 99 cents to read Highland Spring, A Viking’s Promise, Lady in the Mist, Lady in the Tower and Seducing Zeb. If you are a kindle unlimited member you read all the series the books are from for free! My second summer special is the ENTIRE Tangled Tales Series Books 1-7 in one boxed set for you called Tangled Tales: The Complete Series. Now, you can read one book right after another without having to stop. 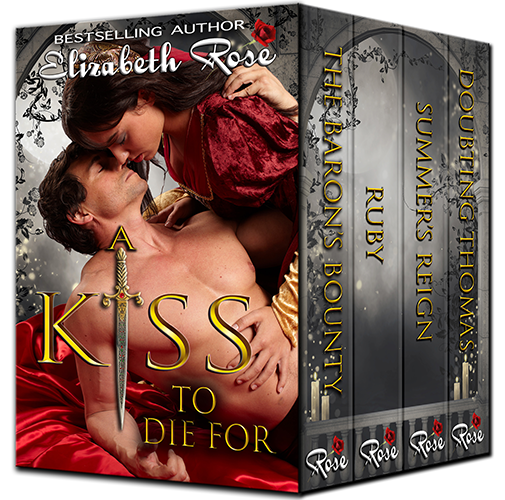 Escape into the magical medieval world of the de Bar siblings on their quests to break their curses – while they happen to find love along the way. These books bought separately, would cost almost $20. But for a limited time you can pick up the entire series for only $9.99. And of course, KU reads free! 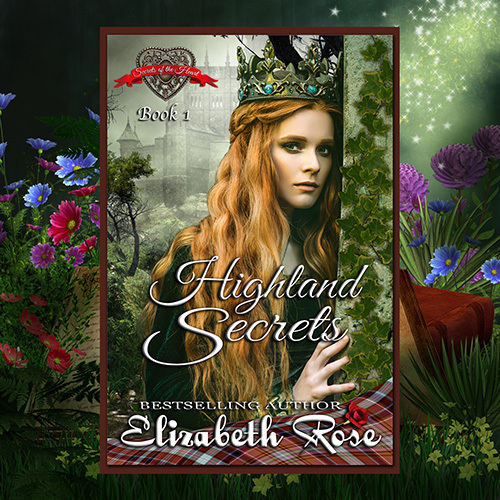 It is only a week away from the release of Highland Secrets – Book 1 of my Secrets of the Heart Series. You can still preorder it for the discounted price of $2.99 but just a warning, the price will be going up shortly after the release date of July 6th. Now, for the winners of my last blog contest: $10 amazon gift card: Denise H. and Audiobook/ebook of her choice: Jennifer P. (Winners have been notified.) If you didn’t win, why not hop on over to my Highland Secrets Facebook Party Page where I have two pre-party contests in progress. Click the GOING button if you think you might stop by on July 6th. (Scroll to the bottom of the party page to see the contest for the bracelet.) 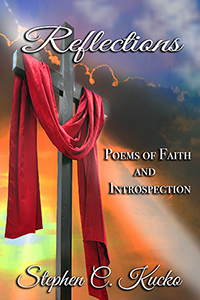 And watch for my next blog where I will be offering a 99 cent book as well as one for free! 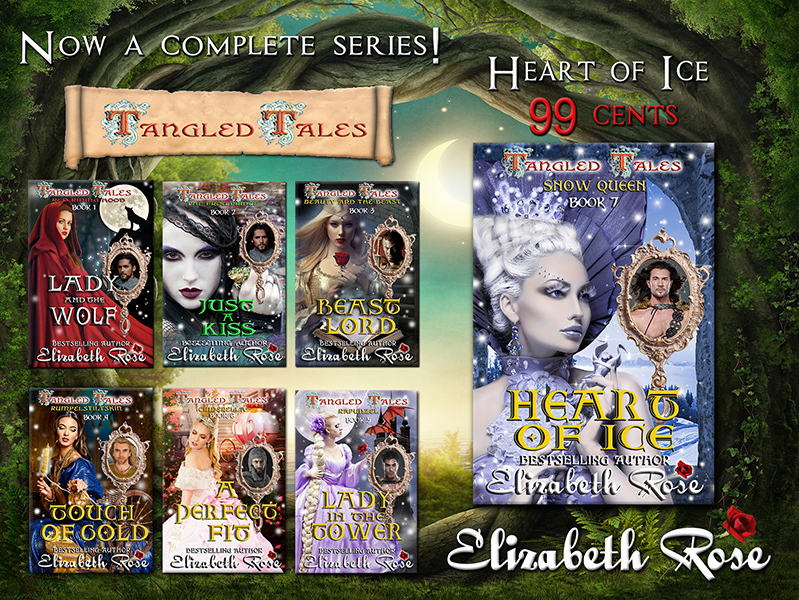 It’s been a long time in coming, but my Tangled Tales Series is now complete! You can pick up your copy of Heart of Ice (Snow Queen) Book 7 for only 99 cents and KU reads free. I came up with the idea of telling twisted, tangled, romantic retellings of classic fairy tales because I enjoyed the tales as a child but didn’t like all the horrible endings. This was my way to rewrite them the way I thought they should be. I tried to stay true to the plot of the fairy tales but add twists and turns and situations you wouldn’t expect. The hard part was narrowing it down to only seven tales since I liked so many of them. If you enjoy fairy tale romance and would like a chance to win the entire series in print, signed by me, now is your chance. To enter, go to my Heart of Ice Facebook Party Page and look for the post with the same graphic as posted here. All you need to do is leave a comment, it’s easy. I will be choosing a winner at the end of my facebook party. The party is on Thursday the 15th. I will start it off with a live video at 3 pm central time. During the day I will be having flash giveaways and choosing the winners LIVE, so you’ll want to keep your eye on the page. 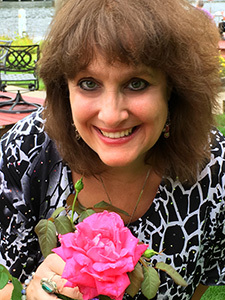 At 4 pm, my guest author from the UK, Mary Lancaster will be stopping by. And during the evening, you will find guest appearances and more giveaways from authors Victoria Zak, Katherine Bone, Cathey MacRae, Alexa Aston and Mia Pride. 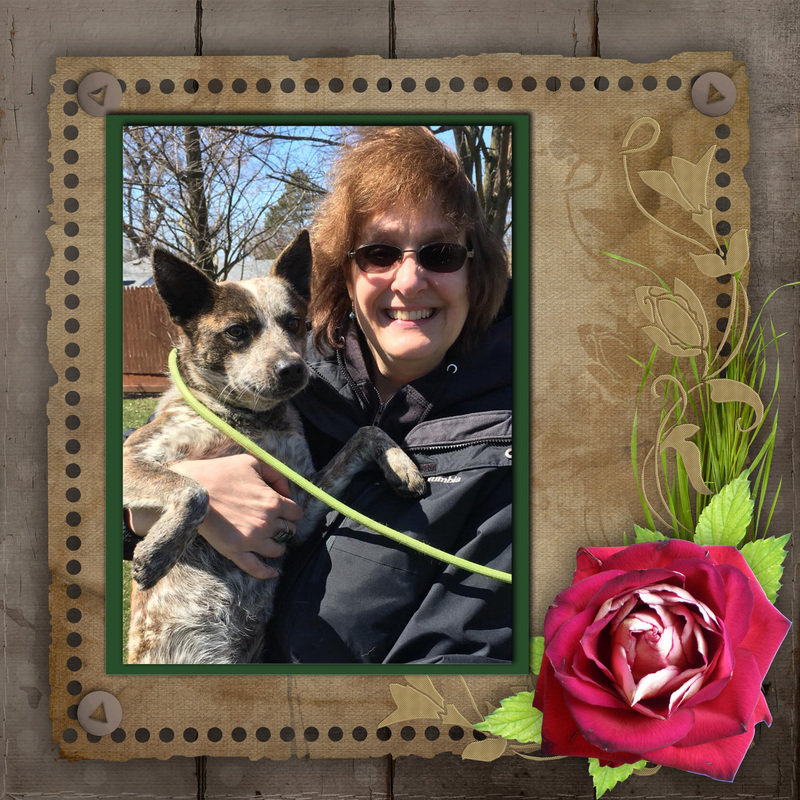 Be sure to check out the times, and click the GOING button if you think you will stop by. In celebration of my new release, I am offering Lady and the Wolf (Red Riding Hood) Book 1 of the Tangled Tales Series FREE from March 13th – 17th. And in celebration of the upcoming St. Patrick’s Day, you can get a copy of The Duke and the Dryad on kindle countdown for only 99 cents! If you like contests, please enter the St. Patrick’s Day facebook Hop where you will have a chance to win one or more of 70 gift cards. Click on the photo to find out more. Hope to see you at my party! A Perfect Fit (Cinderella) is here! And don’t forget to preorder your copy of Heart of Ice (Snow Queen) Book 7 that releases on March 13th. 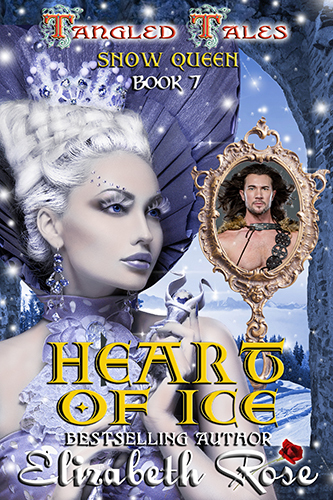 Heart of Ice (Snow Queen) – Book 7 is now on preorder! For a limited time you will be able to get it for 99 cents. This is the final book in the Tangled Tales Series, so you won’t want to miss it. MacKay, the last of the de Bar siblings is now cursed by the evil witch, Hecuba as well, and his curse is going to prove to be the worse of all the siblings. Lady Eira is the heroine, and because of a horrible past she is known as the Snow Queen with a heart of ice. Can MacKay melt her heart and help her believe in love again? Find out in Heart of Ice (Snow Queen) coming on March 13th. And don’t forget, there is still time to preorder A Perfect Fit (Cinderella) Book 6 for only 99 cents. It releases on Feb. 8th. 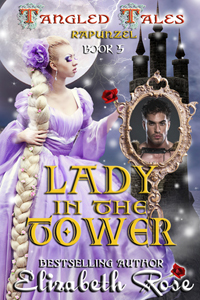 Lady in the Tower (Rapunzel) Book 5 of my Tangled Tales fairy tale romance series has arrived. For a very short time yet, you can purchase your copy for only 99 cents. But the price goes up soon, so don’t wait. You will want to also find out about the rest of the de Bar siblings and their curses such as Lady and the Wolf (Red Riding Hood), Beast Lord (Beauty and the Beast) and Touch of Gold (Rumpelstiltskin.) 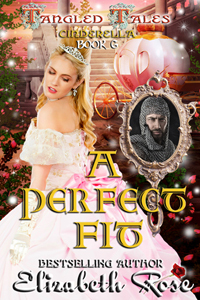 You can preorder A Perfect Fit (Cinderella) Book 6 for only 99 cents now. It will be released in two weeks, followed by the last book of the series, Heart of Ice (Snow Queen) Book 7 that will release in March and be on preorder soon. After you pick up your free copy of Just a Kiss, you can get the audiobook for a discounted price. The entire series will be in audio soon. The first 3 books of the series are available now as audios. All books are also available as paperbacks. Tonight, Friday Jan 26th is my facebook party to celebrate the release of Lady in the Tower. I have seven guest authors joining me. There will be lots of games, fun, free books, contests and prizes, so be sure to stop by. The party kicks off with my live video at 5 pm CENTRAL time. The contests will remain open overnight to give everyone a chance to enter. Hope to see you there. Click on the photo to learn more. If you like paranormal romance, you might want to give my Greek Myth Fantasy Series a try. I have now boxed up the first two books, The Oracle of Delphi and Kyros’ Secret, in Ancient Warriors, for only 99 cents (KU reads free) for a limited time. One last thing I’d like to remind you of is that the contest to win a dragon oil burner or a signed copy of one of my Tangled Tales is nearing an end. You can enter through the rafflecopter at the end of my website post. Good luck! 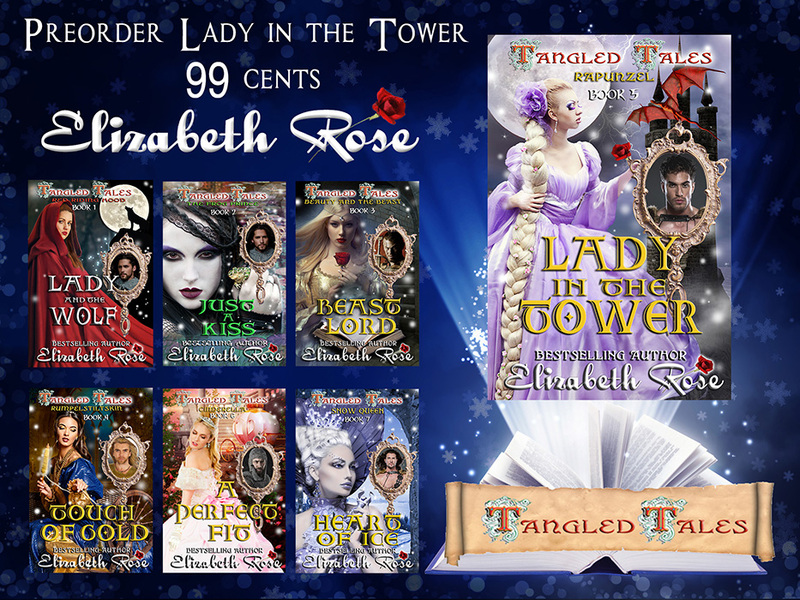 It’s only a week away from the January 25th release of Lady in the Tower (Rapunzel) Book 5 of my Tangled Tales Series. Rapunzel de Bar has been cursed and Marco Drago del Rossi III is the Dragon Lord who wants to save her. This was a challenging but fun book to write. And in it, you will see more than one dragon. To celebrate my upcoming book I am giving away a dragon oil burner along with a signed print copy of Lady in the Tower. And there is more! I am also giving away a signed copy of each of the first five Tangled Tales. Just enter through the rafflecopter at the end of this post. And be sure to stop by my facebook party on January 26th where I will be talking LIVE. I have guest authors joining me and there will be lots of games, prizes, free books and giveaways, so tell all your friends. Click the photo to see a list of the guests and some pre-party posts. Be sure to hit the GOING button if you think you might stop by. 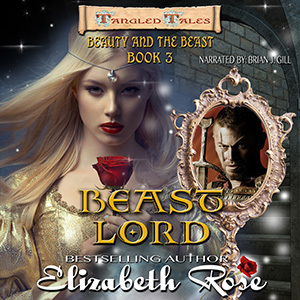 If you are an audiobook lover, you will be happy to know that both Just a Kiss (Frog Prince) and Beast Lord (Beauty and the Beast) are now available as audiobooks on amazon, itunes and audible. Click the photos to listen to a sample. Watch for the rest of the series coming to audio soon! And get a jump start on preordering A Perfect Fit (Cinderella) Book 6 which will be released on February 8th. Both A Perfect Fit and Lady in the Tower are only 99 cents on preorder, but it won’t last because the price goes up shortly after release. 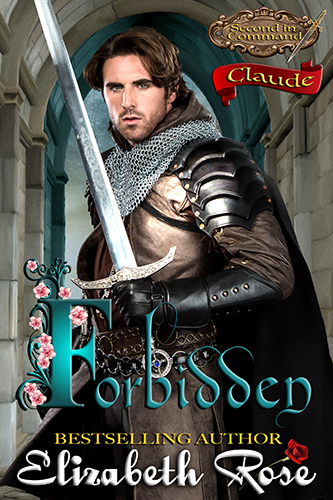 If you love medieval romance, but are not a big fan of paranormal, hang in there. I have a fantastic, exciting new medieval series coming up early this summer. I will tell you more about it soon! 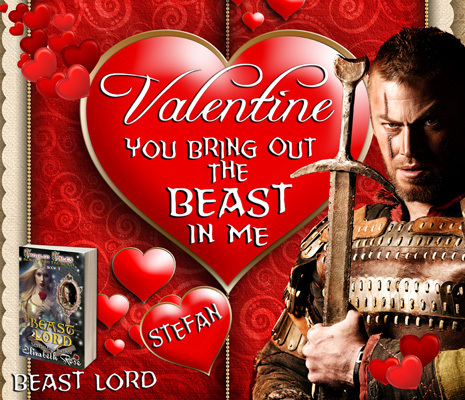 In the meantime, you might want to get caught up on the medieval series I have available. Click HERE to see more medieval romance. Enter the contest below. Good luck! 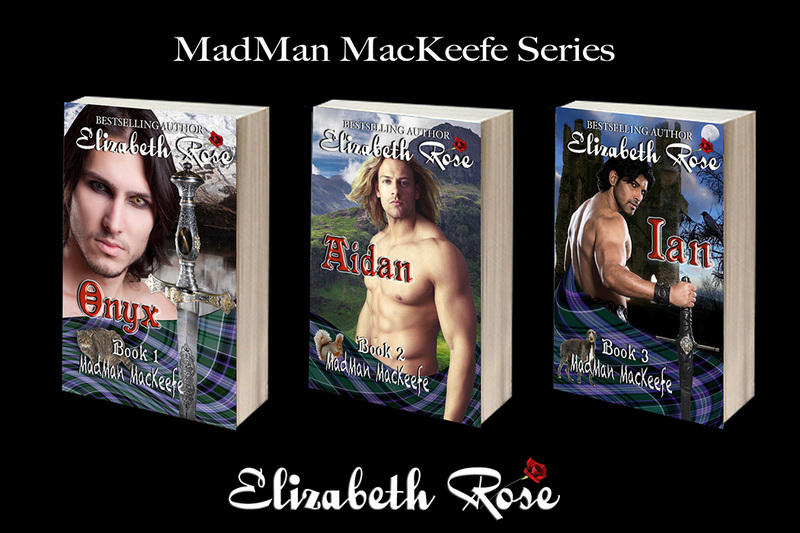 Take a Trip to the Romantic Highlands with a FREE Book! 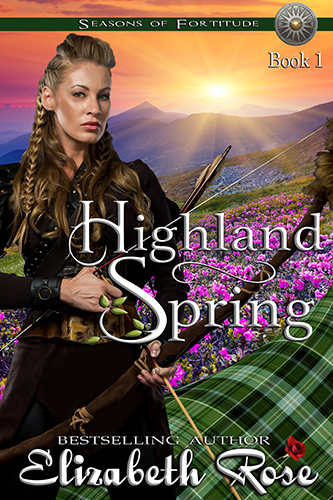 Take a trip to the Highlands with today’s featured book, Highland Spring – Book 1 of my Seasons of Fortitude Series. The book will be FREE from January 6th through the 10th. Join Spring, a Scottish warrior as she meets and marries Laird and widower, Shaw Gordon to make an alliance between clans. However, the alliance is not real, but only a way to spy so the Gunn Clan knows when to attack. Can a woman who was raised to be a strong and emotionless warrior find love in her heart for Shaw and his children? And what will happen when she discovers her entire life is based on a lie? Be sure to pick up your FREE copy today. Afterwards, take advantage of purchasing the audiobook at a discounted price. You will want to continue your journey with the saga of the Douglas sisters in Summer’s Reign, Autumn’s Touch and my latest release, Winter’s Flame. 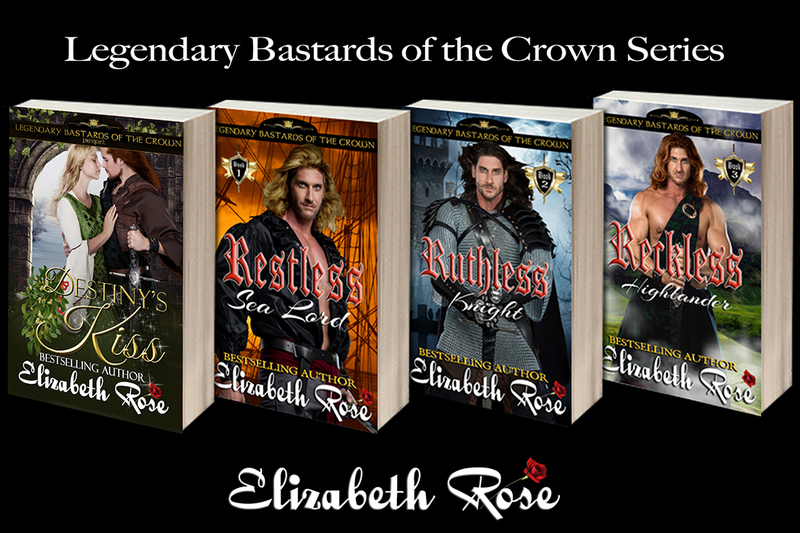 This series is a continuation of the Legendary Bastards of the Crown Series, but all books of both series are stand alone novels. 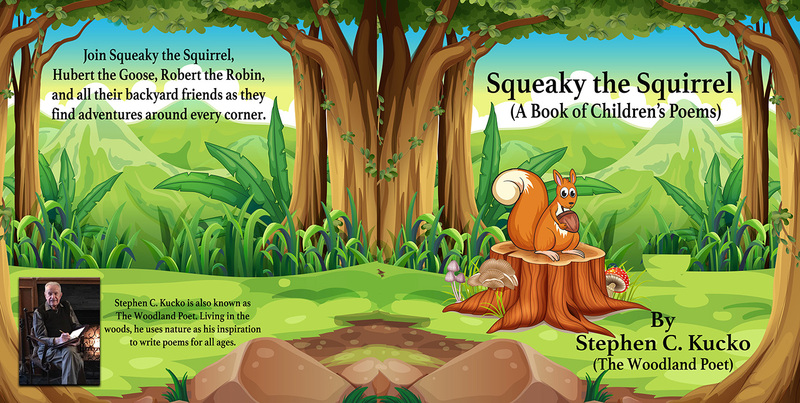 Each book is in print as well as audiobook format. The latest audio book that has been released last month is Winter’s Flame. One last announcement that I am very excited about is that A Perfect Fit (Cinderella) Book 6 of my Tangled Tales Series is now on preorder for the limited time price of 99 cents. It will be released on Feb. 8th. 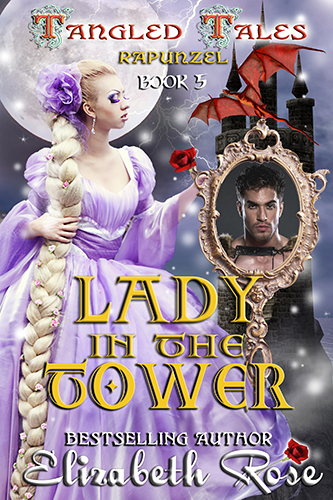 And there is still time to preorder Lady in the Tower (Rapunzel) Book 5 for only 99 cents. It releases on Jan. 25th. After that, there is only one more book to conclude the saga of the cursed de Bar siblings. Heart of Ice (Snow Queen) which is scheduled for February/March. These are twisted, tangled, romantic retellings of some of the fairy tales we remember from childhood. (But for adults). The books in the series can be read as stand alones, but if you like to read in order, this is the list: Lady and the Wolf (Red Riding Hood) Book 1, Just a Kiss (Frog Prince) Book 2, Beast Lord (Beauty and the Beast) Book 3, Touch of Gold (Rumpelstiltskin) Book 4, Lady in the Tower (Rapunzel) Book 5, A Perfect Fit (Cinderella) Book 6, Heart of Ice (Snow Queen) Book 7. Later this month, Just a Kiss and Beast Lord will be available as audiobooks, narrated by the entertaining and talented Brian J. Gill. I’d like to wish a Merry Christmas and a Happy New Year to everyone! This year sped by so fast, I still can’t believe it is over. 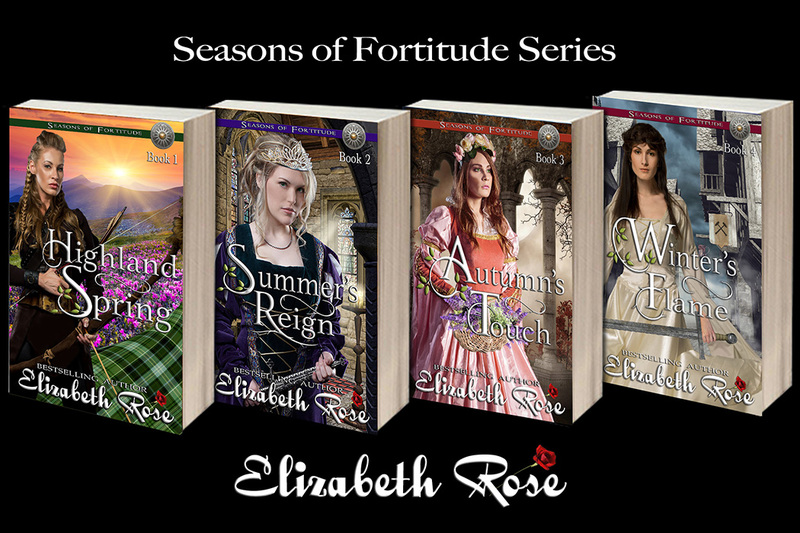 2017 saw the release and/or completion of two new medieval series, Legendary Bastards of the Crown and Seasons of Fortitude. I also released the first book of a new series called Second in Command that takes secondary characters from any of my series and gives them their own story and happily-ever-after ending. Here is a quick glance of the books or series I released in 2017. What’s coming up on the agenda for me next year? First, you will see the completion of my Tangled Tales Series. These books are twisted, tangled, romantic retellings of fairy tales. Lady in the Tower (Rapunzel) is book 5 and will be released on Jan. 25th. You can preorder it now for the limited-time price of 99 cents by clicking HERE. If you like to read books in order, (although each book in all my series are stand-alones) here is the the entire series at a glance. Click on the photo to find out more or to read excerpts on any of the books. Watch for the finish of the series, the stories about Cinderella and the Snow Queen, coming this winter. 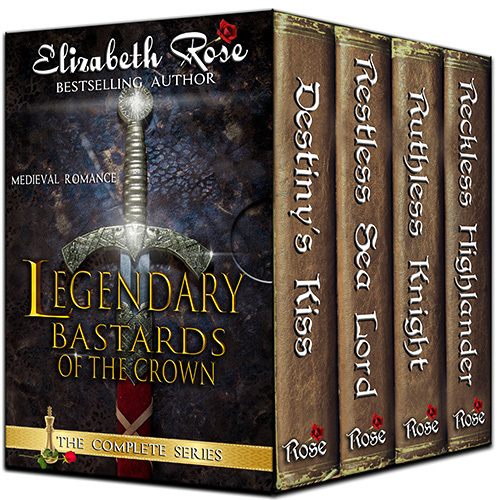 I also have another medieval series or two on the horizon that I think you will love. However, I am superstitious about saying too much too soon, so you’ll have to wait just a little longer to find out more. Expect another book or two in the Second in Command Series as well. If you enjoy audiobooks, please take a look at my audiobook library. 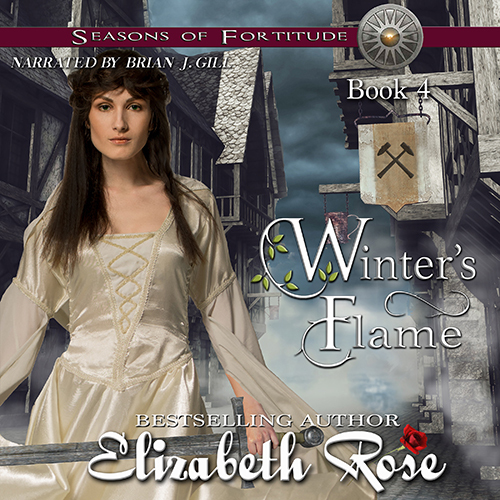 Winter’s Flame – Book 4 of my Seasons of Fortitude Series is now available as an audiobook on amazon, itunes and audible. Listen to a sample on any of those sites. Other new audiobooks are Lady and the Wolf and Tarnished Saints’ Christmas. 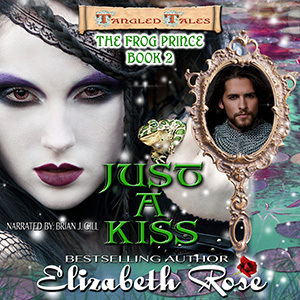 Watch for audiobooks of Just a Kiss (Frog Prince) and Beast Lord (Beauty and the Beast) coming in the next few months. 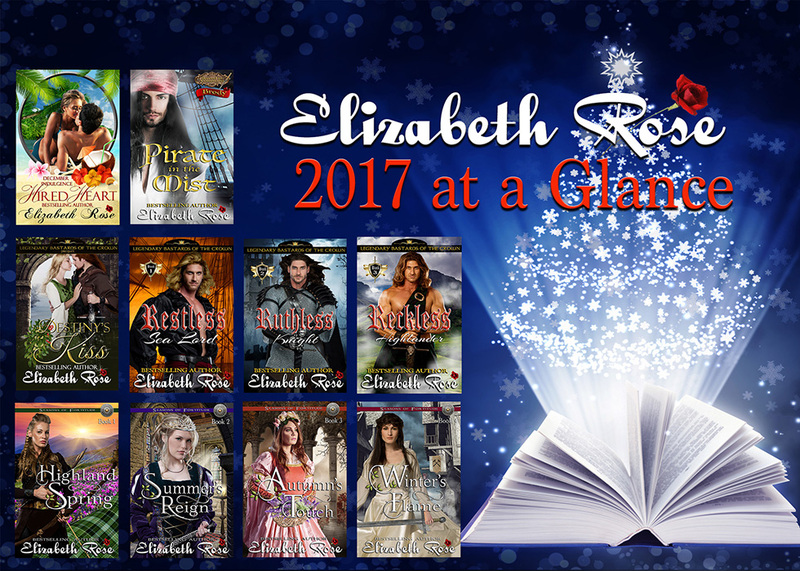 For a little holiday reading, you might want to try a few of my holiday themed and winter-based books such as Tarnished Saints’ Christmas (FREE on all venues), Or my Romantic Winter Wishes Collection that includes My Christmas Soldier, Hired Heart and Loving John – 99 cents and KU reads free. This is a limited time offer, so get yours before it is gone. I wish you all a safe, healthy and happy holiday season!